Little, Brown and Company, 9780316395700, 320pp. 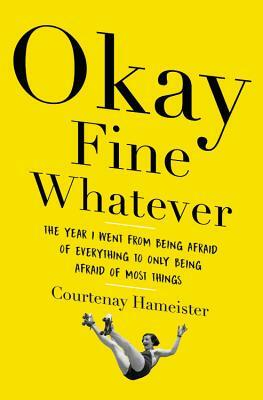 Courtenay Hameister is a professional nervous person. During her 12 years as host and head writer for Live Wire, a nationally-syndicated public radio show, she interviewed over 500 intimidating people and wrote 200 personal essays in bursts of anxiety-fueled inspiration at midnight the night before each show. Her work has also been featured in McSweeney's, APM's Marketplace, More Magazine and some scathing emails to the customer service department at Macy's.